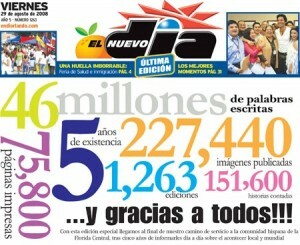 The paper shuts down just shy of its 5-year anniversary. 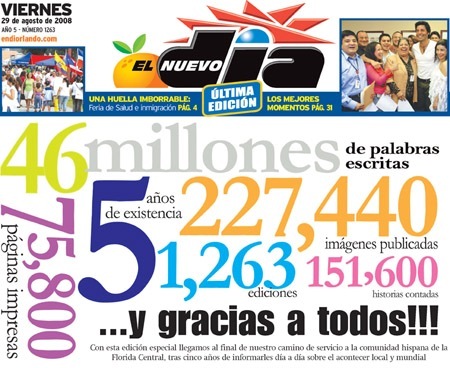 Founded on September 2, 2003, it was published by Puerto Rico’s Ferré-Rangel family, which also owns two newspapers in Puerto Rico: El Nuevo Día and Primera Hora. A slumping economy was blamed for the decision, which cost 50 employees their jobs.